This healing honey has been around for thousands of years. Perhaps the world's oldest known medicine, Aristotle (384-322 BC) said, "It’s good as a salve for sore eyes and wounds" while Dioscorides (50 AD) referred to it as "Good for all rotten and hollow ulcers". In recent tests conducted at Sydney University's School of Molecular and Microbial Biosciences, Manuka Honey killed every type of bacteria, including antibiotic-resistant "superbugs". Antibiotic resistant strains of bacteria or superbugs are on the increase and the much relied on penicillins including methicillin, amoxicillin, oxacillin and other widely used antibiotics are becoming less effective at treating infection. This is causing alarm and concern in hospitals around the world. But almost miraculously Manuka Honey is able to defeat MRSA, staph infections, dermatitis and much more, while aiding in the healing of wound and burns. According to former professor Peter C Molan (MBE) BSc (Hons) Wales. PhD Liv. from New Zealand's University of Waikato, "It works on bacteria, fungi, protozoa. We haven't found anything it doesn't work on among infectious organisms." Thanks to Peter's research, Manuka Honey is being used in hospitals around the world to combat a wide array of infections that were considered all but untreatable. Manuka Honey is a form of monofloral honey that’s created by honey bees as they gather nectar from the flowers of the manuka bush (Leptospermum Scoparium). It should be noted that some honeys are no more antibacterial than sugar. The antibacterial properties of Manuka Honey, however, is more than 100 times stronger than what’s found in ordinary table honey. 400+ or better active Manuka Honey can be diluted more than 100 times but still halts the growth of bacteria. Ratings have been introduced to determine the therapeutic potency of Manuka Honey. The higher the rating, the higher its therapeutic properties. TA or ACTIVE on the label of Manuka Honey refers to Total Activity. This number is calculated by combining both the Peroxide and Non-Peroxide Activity (NPA) levels of the Manuka Honey. This type of activity testing is usually represented with a TA alongside the number such as: TA15+. It's also displayed as just 20+ without any letters. The NPA (Non-Peroxide Activity) Manuka Honey test counts only Non-Peroxide Activity to reveal how strong and potent the active enzymes within the Manuka Honey are at fighting bacterial infections and inflammation. As Peroxide Activity is not included in the rating, NPA based Manuka Honey is always stronger than TA. The phrase UMF was coined by Dr Peter Molan to reveal the NPA (Non-Peroxide Activity) component of Manuka Honey. Have a listen to the recording at the top of this page to learn more about NPA in relation to Manuka's unique properties. TA, MGO or NPA - Which is stronger? The bottom line is NPA and MGO rated honey will always be stronger than their equivalent ACTIVE or TA counterparts. Another way to predetermine the effectiveness of Manuka Honey is to measure its Methylglyoxal (MGO) content. MGO is found in high concentrations in Manuka Honey and as proven by German researcher, Professor Thomas Henle, is the compound responsible for its antibacterial and anti-inflammatory properties. The following table reveals a comparison of NPA and MGO activity. 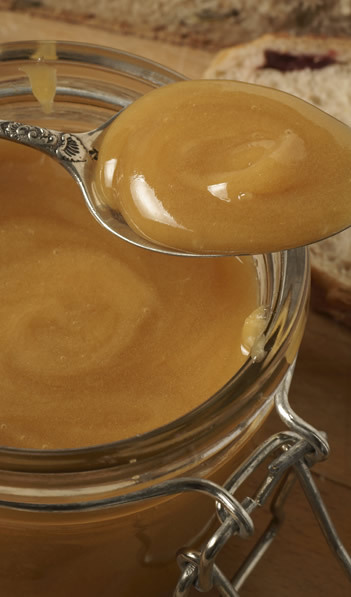 Manuka Honey kills bacteria including streptococcus (a cause of sore throats). Its unique anti-inflammatory properties soothe and calm fast. Solution: At the first sign of a sore throat or cold take a teaspoon of MGO 800+ Manuka Honey and let it drip slowly down your throat. There’s nothing like the feeling or the taste. Repeat three or four times daily. 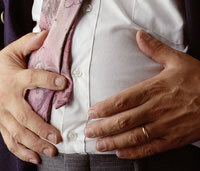 Scientific research reveals that active Manuka Honey aids stomach related conditions. 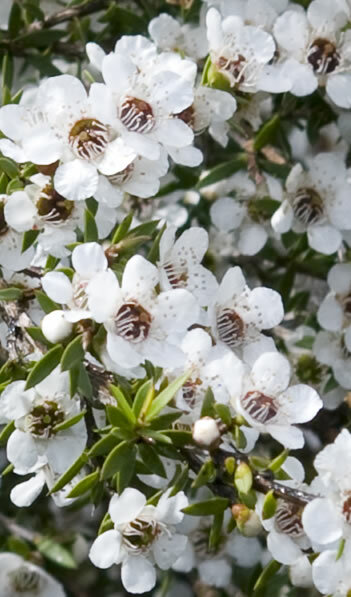 By coating and calming the stomach and the oesophagus, Manuka Honey helps to heal damaged lining and tissue. Its unique antibacterial properties also bolster the immune system while reviving natural cultures of good bacteria required for proper digestion. Solution: Take a teaspoon of MGO 800+ Manuka Honey approximately 30 minutes before meals and before bedtime. It can also be eaten on a piece of bread, toast, cracker or fruit which helps to hold the honey in your stomach for longer. 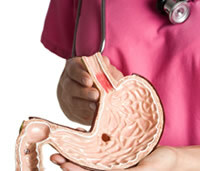 If your stomach ulcer has been diagnosed and is caused by H. Pylori bacterium, it may be able to be treated with high grade, active Manuka Honey. Manuka Honey’s powerful antibacterial properties destroy many infectious bacteria allowing the inner lining of the stomach to heal. Solution: Take a teaspoon of MGO 800+ Manuka Honey approximately 30 minutes before meals and before bedtime. Initially you may experience a slight burning sensation which should subside once the healing properties of Manuka Honey take effect. Interestingly, according to former Professor Peter C. Molan of New Zealand's University of Waikato, Manuka Honey’s antibacterial properties are not destroyed by body fluids or enzymes. This means that the antibacterial properties of Manuka Honey can destroy the gum disease bacteria that are responsible for tooth decay and bad breath. 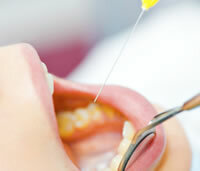 Solution: After brushing apply Manuka Honey directly to the gums (Use a cotton wool swab or your fingertip). Another way is to hold a teaspoon of Manuka Honey inside your mouth for long enough to allow it to coat your teeth and gums. Manuka Honey present in the digestive system helps regulate disease causing bacteria, regenerates probiotics in the gut and helps to stimulate the immune system. Solution: Take a teaspoon of Manuka Honey approximately 30 minutes before meals and before bed. Former Professor Peter C. Molan (MBE) BSc (Hons) Wales. PhD Liv. from New Zealand's University of Waikato is "the founding father of bio active honey research". For more than 30 years he's led the field, painstakingly researching Manuka Honey and its effect on burns, ulcers, throat, eye infections and so much more. The scientific papers he has written for New Zealand's valuable export trade are unquestionably the single most important contributing factor to the success of Manuka Honey worldwide. We are extremely grateful and indebted to Dr Peter Molan. He is a man of great character and many hundreds of thousands of people around the world may not have found healing if not for his discoveries and his commitment to the protection of quality Manuka Honey. When did you first realise that there was something special about Manuka Honey? How does NPA compare with the UMF rating? What do you see as a future for Manuka Honey in the coming years? Q: Peter when did you first realise that there was something special about Manuka Honey? Peter: It would be more than 25 years ago. A friend of mine, who was a bee keeper and was a long time high school biology teacher, told me about the use of honey as an antiseptic, which I’d never heard of. He also told me that in New Zealand it was folk knowledge that Manuka Honey was the best one to use. So he persuaded me to have a look at it because I was working on other natural antibacterial substances and that’s where it started. When I did look at it I found that it had a quite different sort of anti-bacterial activity from that in other honey. Q: So what’s UMF all about? Peter: When I persuaded the bee keeper’s producing the Manuka Honey with this special activity to start selling it as an antiseptic, other people started selling Manuka Honey that didn’t have this special activity, and initially put the anti-bacterial activity rating on the jar. The Ministry of Health Government regulatory department wouldn’t allow that. They said that it was a therapeutic claim, so I had to come up with some other way of letting consumers know that it had the special activity and what the level was. Sunscreen at that time had just started being sold with a SPF rating on it, so we also came up with something like that. I was actually asked by the New Zealand Government to come up with some way of allowing the producers of the genuine honey to let consumers know that they were getting the genuine product. So it was meant to be a sort of quality mark that anybody producing the right sort of honey meeting the standard would be allowed to use, but unfortunately in more recent years it’s turned in to a exclusive brand and now you have a situation where I would estimate well over half of the genuine Manuka Honey isn’t allowed to use that brand. It was a way of showing that it had the genuine special activity and also letting consumers know the levels of that activity. Q: There’s an activity measurement called NPA or Non Peroxide Activity. How does NPA compare with the UMF rating? Peter: Well that goes back the very first research work we did, where we found that Manuka Honey had an unusual activity. All honey is anti-bacterial to different degrees and some are much stronger than others, and they all owe that activity to hydrogen peroxide. The bee’s had an enzyme to the nectar which generates hydrogen peroxide in honey when it gets diluted, so that’s the normal peroxide activity. Now your body, if you have ever used hydrogen peroxide as an antiseptic, you’ll see if you put it on a cut it all froths up, that’s because your bodies got an enzyme and all the cells in your body, in your blood, your saliva, which destroys hydrogen peroxide, so as you see, the bubbles of oxygen form and it gets destroyed. So that means with honeys’ other than Manuka Honey most of the anti-bacterial activity will be destroyed if it comes in contact with the cells or fluids of the body. The Manuka Honey has a different sort of activity, it comes from the plant and not because of an enzyme the bee’s have, and that isn’t broken down. So it retains its full activity, and that’s what’s special about Manuka Honey, and that activity is referred to as non peroxide activity. The UMF rating was initially devised as a way of showing non peroxide activity, to distinguish it from any other honey ever had. Q: What do you see as a future for Manuka Honey in the coming years? Peter: Getting a lot more widely used, this is already happening in the medical profession and there’s a rapidly increasing interest in using it just for its ability to kill bacteria. But because of research work we’ve recently completed which will be published very soon, we’re writing up the papers and submitting them now, we have explained the anti inflammatory act to the TF honey and found that the Manuka Honey, or at least some batches, you need to test each batch, but in general Manuka Honey is a much higher anti inflammatory activity than other sorts of honey and that’s actually very important for a lot of other things that Manuka Honey is used for. And we’ve also explained how honey is so effective in cleaning up wounds; If you’ve got a lot of puss or dead tissue attached to a wound, honey is spectacularly fast at releasing that and leaving a clean wound. And we’ve now explained how that works, which means that medical professionals are more likely to believe it and try it if they can see the mechanism it works with. Try not to drink immediately after taking the honey so as not to dilute it. It’s a self-preserving natural product. There is no need to store Manuka Honey in a fridge after opening. For preferred honey consistency, warm to soften or refrigerate to firm. As it is a low moisture content product, the lid should be kept on tight to prevent the honey from absorbing moisture from the air.